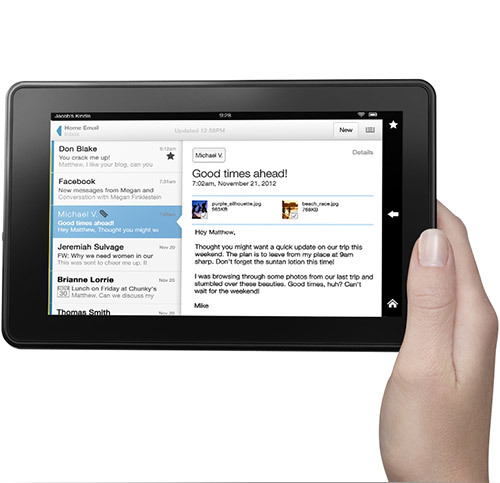 Kindle Fire High-Def Tablets review HD Anti-glare tec,.any angle view. Beautiful, high-resolution 8.9″ screen, perfect for films, apps, games and all your entertainment. Stay connected with web, e-mail, Skype and more. Buy the Stunning > Kindle Fire HD 8.9″, Dolby Audio, Dual-Band Wi-Fi, 16 GB – With Special Offers < Click this link. Review : Starting with the most economical 7″ standard LCD display unit, well to begin it’s a standard LCD display and heavier than the 7″Hi-Def but lighter than the 8.9″Hi-Def although don’t forget we are only talking in grams here, 400 for the 7″LCD most books are kilograms, it does not have a “Dual- band, dual-antenna Wi-Fi” as do the other two Hi-Def ones, but we have not found any significant problems with the Wi-Fi which they all have, neither does it have “Dolby Audio, dual stereo speakers” like the 8.9″Hi-Def or “Dolby Audio dual-driver stereo speakers” as the other 7″Hi-Def, the 7″LCD just has Stereo speakers, and to be honest stereo is never going to be much cop unless the speakers are placed on opposite sides of the room, you are not likely to spot the difference holding them in your hands, although it’s nice to have good clear sound which they all have anyway (very good systems with a good set of head phones) the 7″ LCD is the smallest length and breadth but not as thin as the other two, but yet again these are small numbers at just 1.15nm thin, for the 7″LCD. Now here we have some of the more significant differences the 7″ LCD has a pixel density of just 1024×600 compared to a massive jump to 1920×1200 for the 8.9″HiDef and a not too shabby 1280×800 for the 7″Hi-Def, then we have the storage only 8 G/Bite for the 7″LCD 16 or 32 G/Bite for either of the two Hi-Def units. but then they do all have free cloud storage so you probably won’t want that storage on-board anyway even if you do find it’s needed. They all sport Dual-core processors pretty good, both the 7″ units have 1.2GHz OMAP and the 8’9″ has a 1.5GHz OMAP you will not notice the difference between them speed wise. Lastly we have a battery life of about 9hrs for the 7″LCD, about 11hrs for the 7″Hi-Def and 10 for the 8.9″Hi-Def the differences are measured in a couple of hours or so that’s not really significant, the 7″Hi-Def lasting longer then the 8.9″HiDef. The verdict, the 7″LCD is an outstanding piece of equipment not really out classed by its two older brothers other then by devise storage, and better display output, they all have free Cloud storage for all Amazon content and Cloud-accelerated browsing using Amazon Silk. Thats it thank you for reading this. I have read so many articles or reviews on the HiDef Kindle Fire, his is a pleasant piece of writing, keep it up.